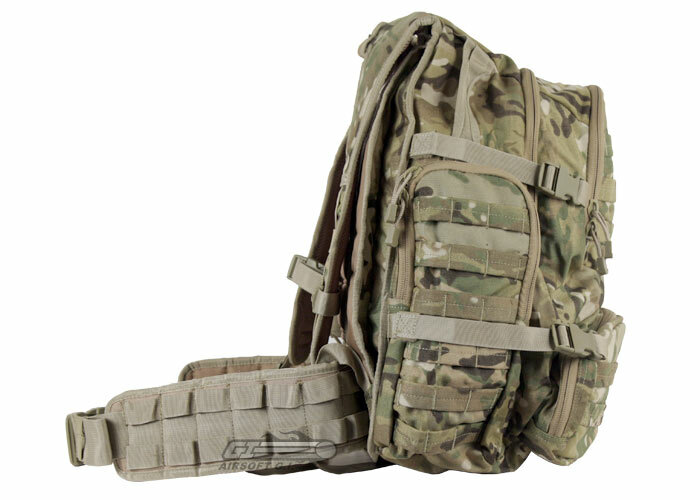 The Condor Outdoor Urban Go Pack is a great bag for combat or casual use. There are many compartments, most of them are made with a specific purpose, that can be used for a wide variety of storage. 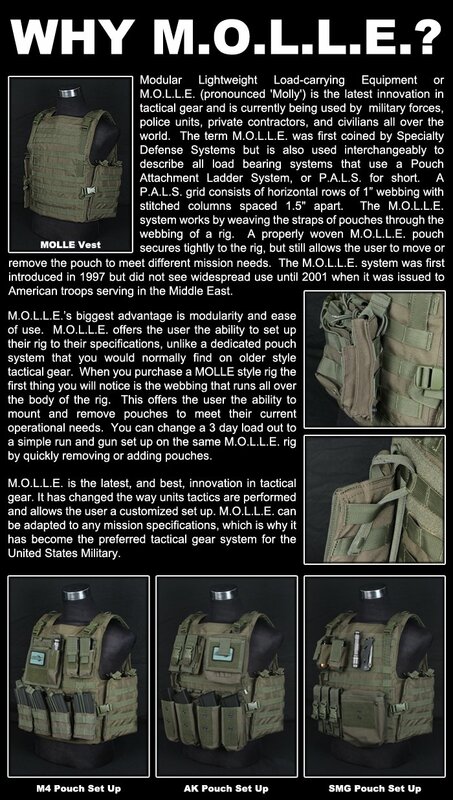 Almost every available panel on the Condor Outdoor Urban Go Pack has molle webbing so you can attach even more pouches/compartments if needed, this includes the very sturdy belt, that is attached to the pack. The main compartment is extremely big with one divider and a zipper mesh pocket inside. There is a Velcro panel for a patch if you desire to put one on, and right above the Velcro is a small felt lined pocket, presumably for an ipod or something you don't want scratched. 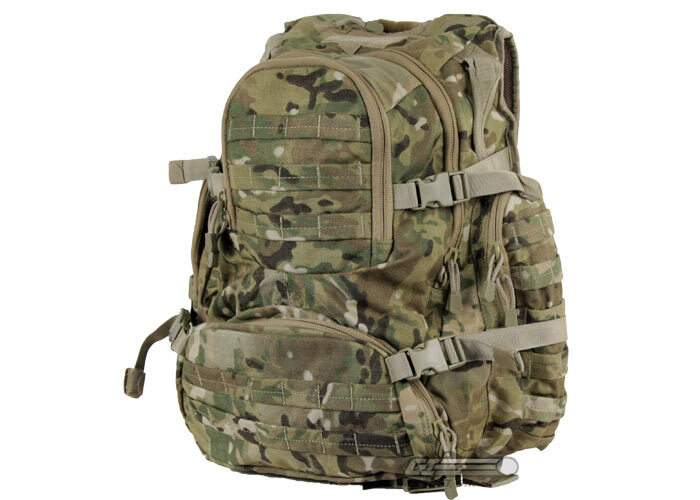 There are three drag handles on this pack, and the belt and shoulder straps are very generously padded. 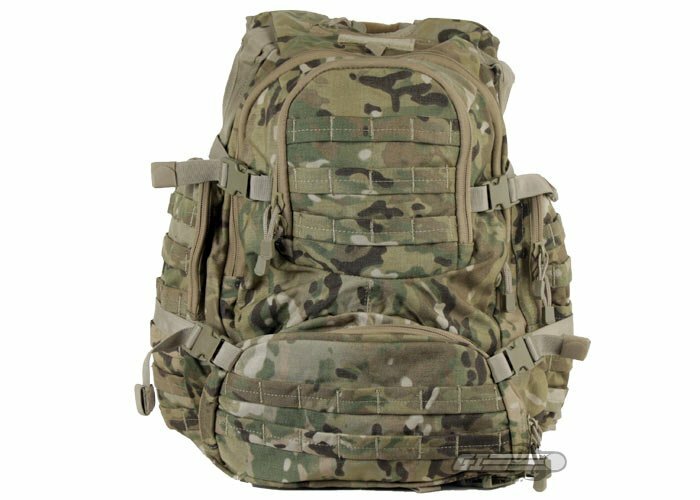 Made with Crye Precision Multicam, this pack is ready for anything. 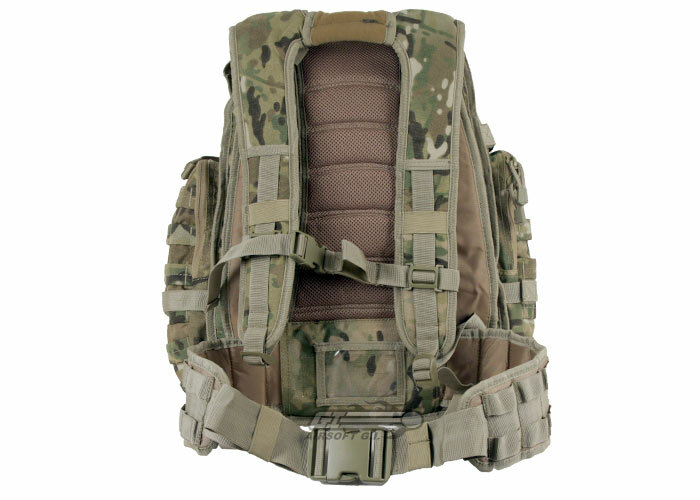 This Multicam pattern is fully licensed, and should be the same as any other Multicam.